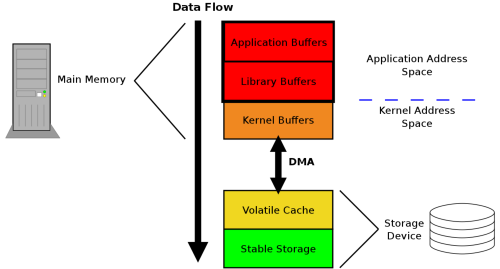 kernel space的文件存储框架比较复杂, 有兴趣可以看看下面这个图. ​ 从图上可以看到, userpsace的程序如果在write的时候buffer会先进到page cache, 然后由io scheduler完成向device写的操作. date && cat /proc/vmstat | grep -E "dirty|writeback"